There are tons of great resources on the web for learning the alphabet. 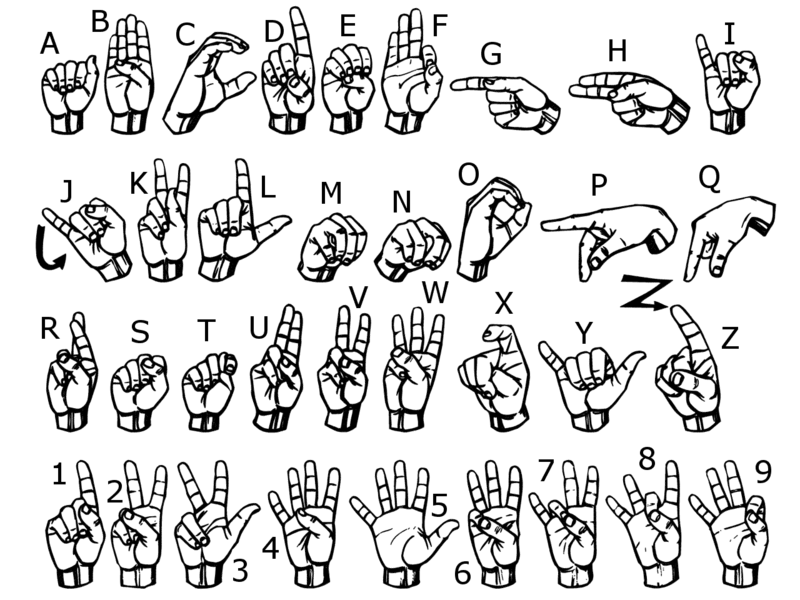 Because it is only 26 images, it makes it easy to create a single sheet handout for sign language classes. Listed below are few suggestions for getting started. If you need to print one of these to help you study, then choose one with the line drawing of the letters. Also, you can grab the Gallaudet font so that you can make your own study sheet. Plus the font is fun to use in many other projects!